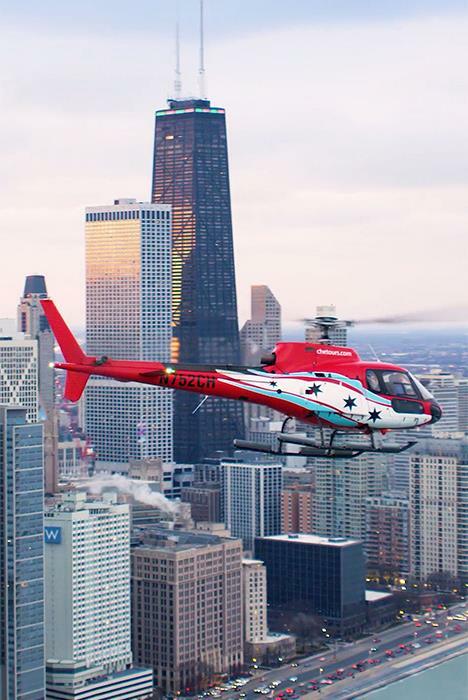 Climb aboard a state-of-the-art helicopter and get ready to see the Windy City from an entirely new perspective. 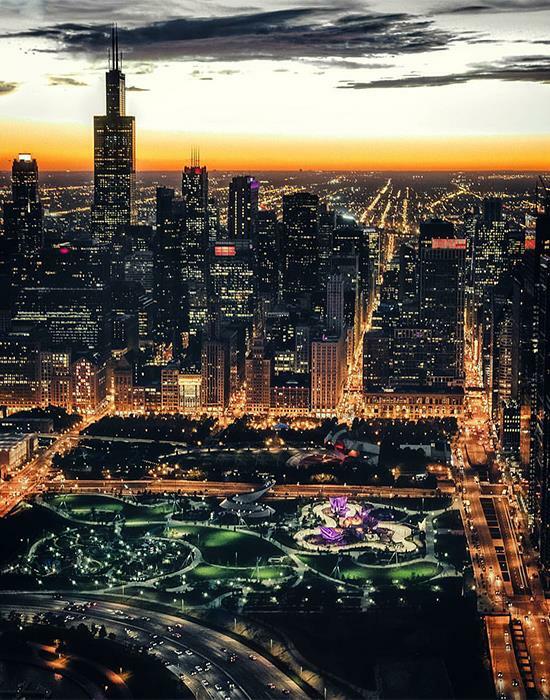 Soar high above the city in a daytime, evening, or twilight tour for remarkable views of the Chicago cityscape. 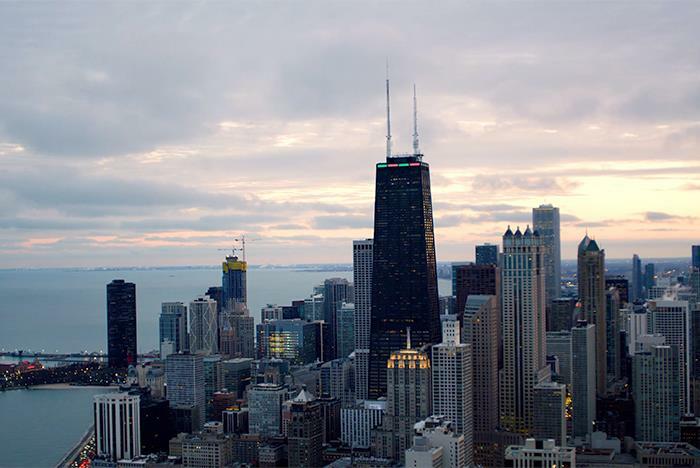 Watch the city shine below while you learn about city landmarks, history, notable events, and more. 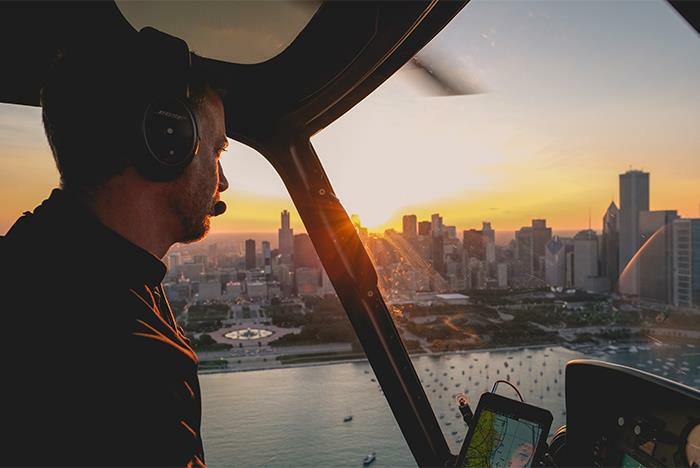 Chicago Helicopter Experience provides you the most spectacular, panoramic views of the world’s best skyline from the optimal vantage point. 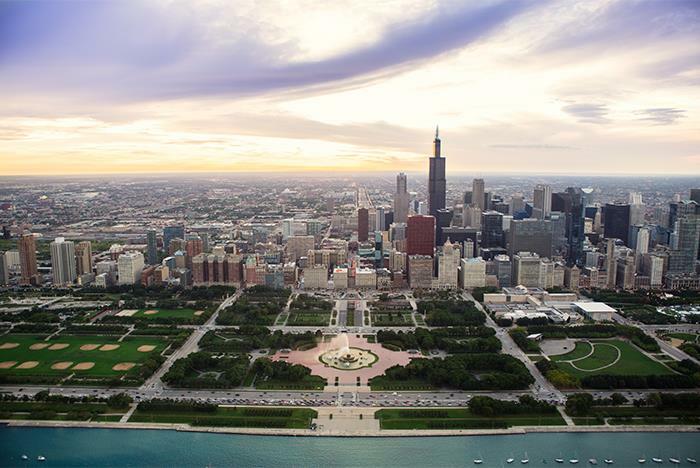 Your journey begins at our downtown just minutes from the “Loop.” You’ll check in at our guest center where you can learn fun facts about the city and its history. Once aloft, you'll glide through the air in one of our luxurious, state-of-the-art aircraft. 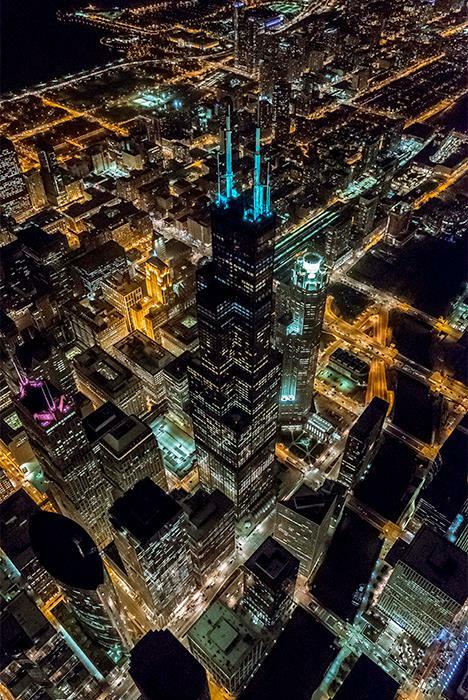 Our experienced pilots are well versed in the lore of the city, which they’ll share throughout your 24-mile journey. 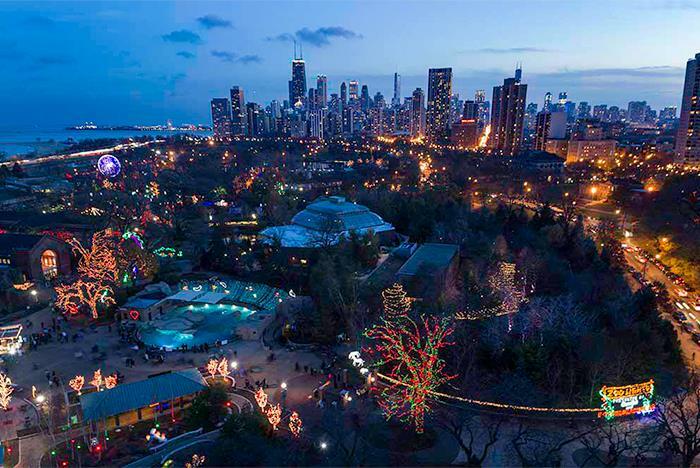 You’ll marvel at breathtaking vistas of the skyline, Navy Pier, Millennium Park, Buckingham Fountain, Willis (Sears) Tower, John Hancock Center, Wrigley Field and so much more. Bring your camera for the optimal photo ops or get our GoPro to record your exhilarating adventure. 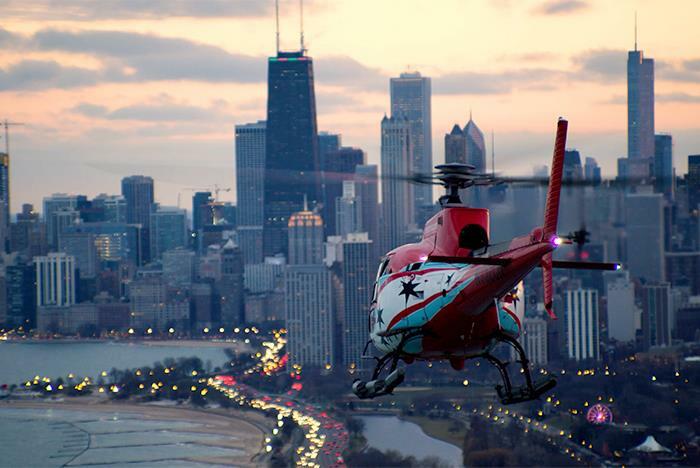 Once you land, don’t forget to pick up the photo of you and your helicopter as a souvenir of your amazing event. 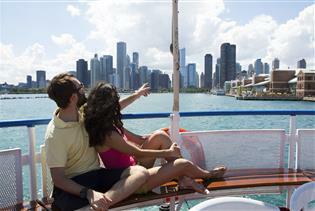 This once-in-a-lifetime experience takes you on an epic journey through Chicago’s amazing cityscape and rich history. 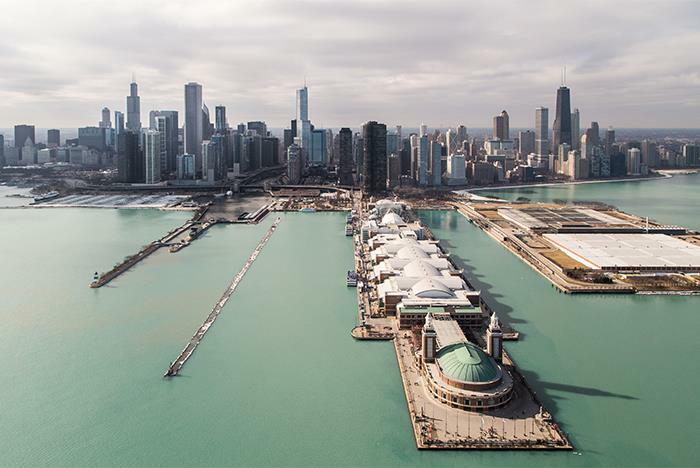 You’ll depart from our downtown heliport, just minutes from the “Loop.” Before your flight, enjoy fun facts on the history of Chicago and “pilot an aircraft” from the interactive flight simulator in our 6,000 square-foot guest center. Then, take off! 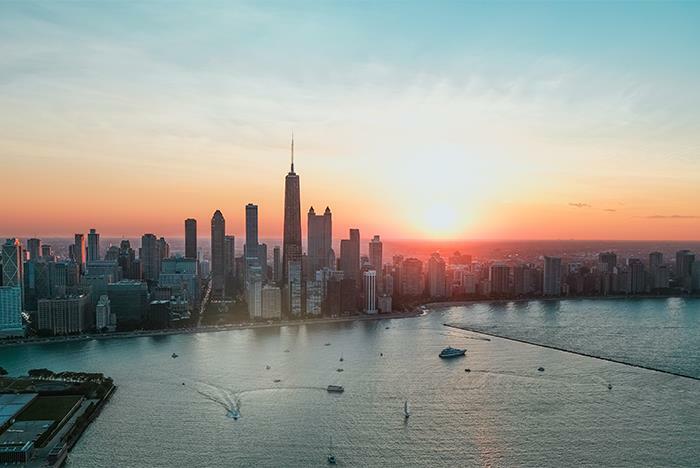 Aboard one of our state-of-the-art helicopters, you’ll experience unparalleled views of the world’s best skyline from the optimal vantage point in the sky. 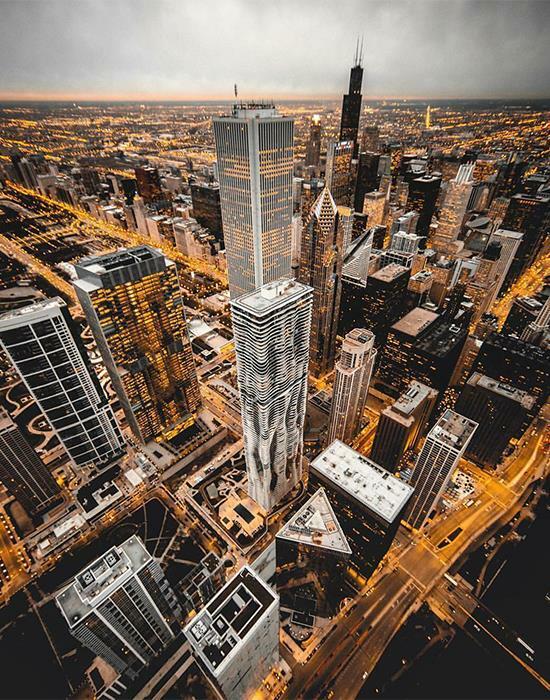 Capture one-of-a-kind photos from a unique perspective among Chicago's soaring skyscrapers and spectacular lakefront. 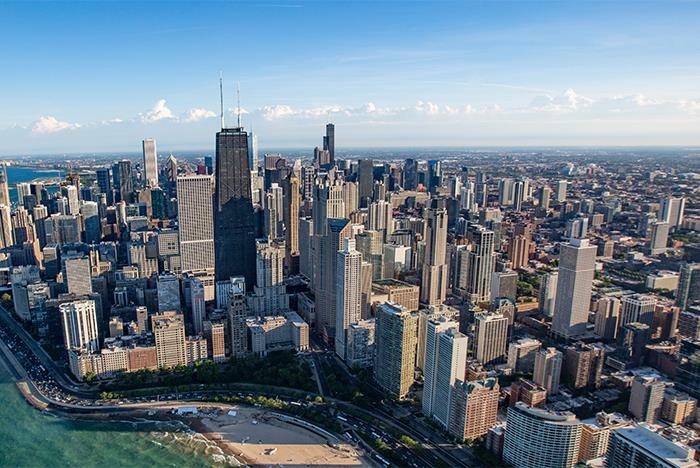 Day tours showcase the most popular city sites including Willis (formerly Sears) Tower, Navy Pier, the Magnificent Mile, Wrigley Field--home of the Chicago Cubs--and many more. 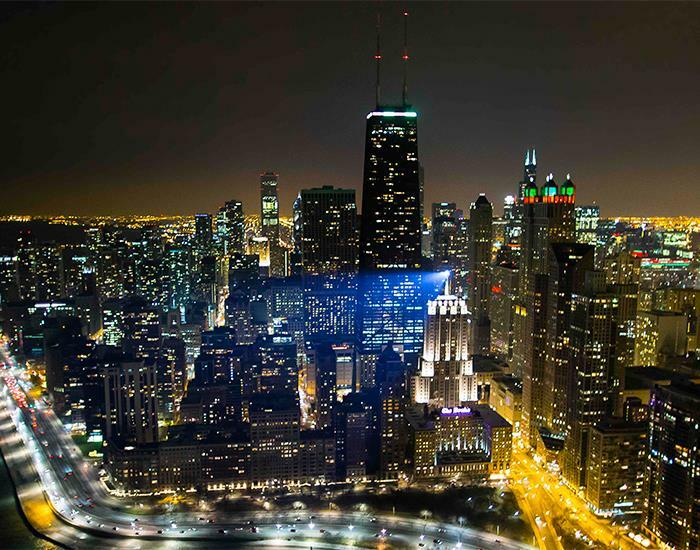 As you glide across the city your pilot will share facts and folklore that bring Chicago to life. When purchasing this product it is important to remember that all members of your party must meet all of the following conditions in order to be flown at the allotted flight time. 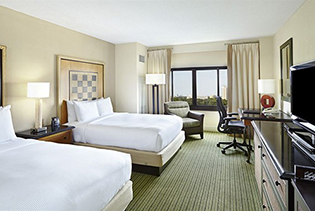 1) Guests are required to check in 30 minutes prior to scheduled departure time. 2) Subject to weather conditions: If canceled due to weather, you will be given the option of an alternative date or full refund. 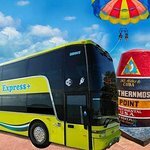 3) All passengers over 18 years of age must have a valid photo ID. At least one passenger 18 years or older must be on the tour. 4) Recommended for ages 3 years and above. 5) Weight limit maximum of 250 lbs (113 kg) per passenger. 6) Helicopters are climate controlled for comfort. 7) All flight times are approximate and subject to change due to weather conditions and weight restrictions. 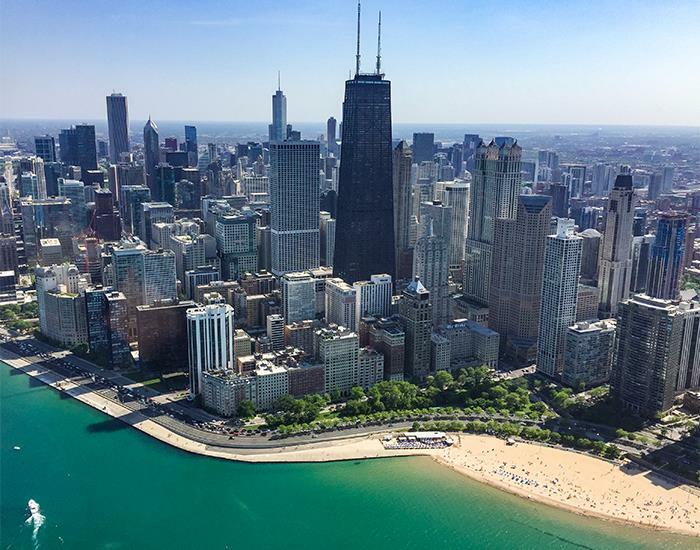 8) Large bags, scarves, hats, and selfie sticks are not allowed in the helicopters. Free lockers are available at the heliport for storage purposes. 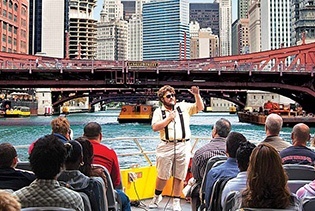 Failure to comply with any of these requirements will result in service being denied and your card being charged the full amount for the tour. Once your purchase is complete, you must call to confirm your flight time. "It was a pretty cool experience"
Well the people there they treat you nice, they pretty friendly people. It was real cool experience if it's going to be the first time I will recommend you to try it. 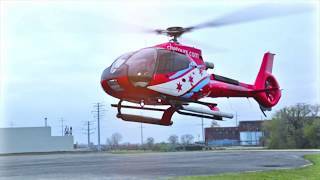 "Anniversary and Valentine’s Day celebration"
I came to Chicago helicopter experience for our anniversary and Valentines Day exeruence and love love love it. 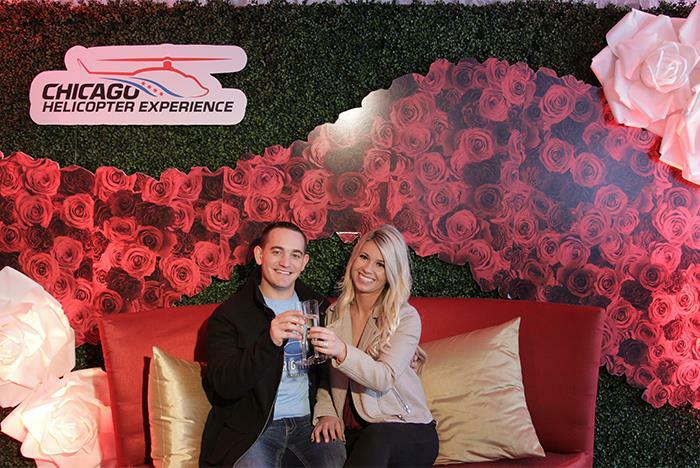 Recieved champagne and chocolate rose along with a picture of us next to the helicopter. Fantastic experience! It was a great date for Valentine’s Day so we both really enjoyed it! Definite 10 star experience!!! 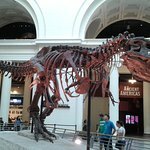 "the highlight of my trip!" 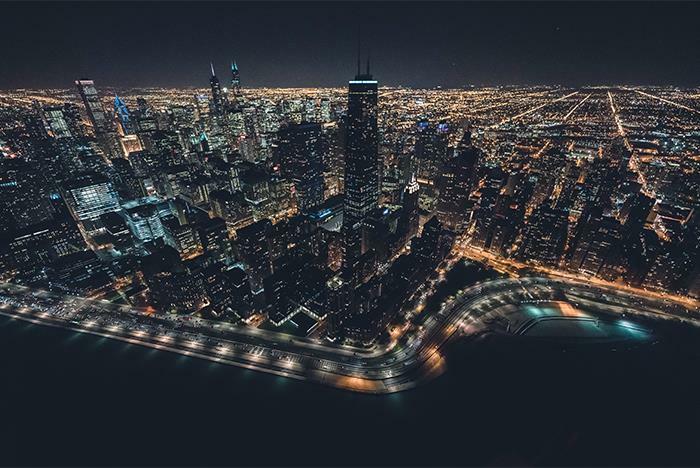 and I had a lot of highlights like the signature room, willis tower, oddssey lunch cruise on lake Michigan, the king suite city view Marriott on the magnificent mile, Wrigley field, the river north club scene,... this experience was the best! do it! 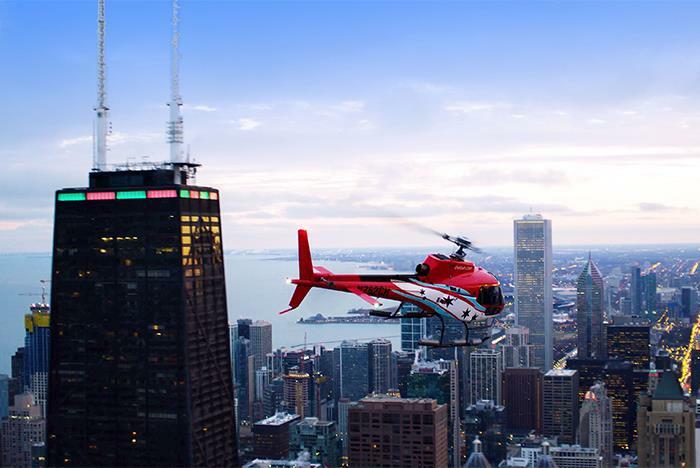 You must arrive at the CHE Downtown Heliport no later than 30 minutes before your tour departure time. Guests who are late will not be accommodated. How long is the helicopter tour? 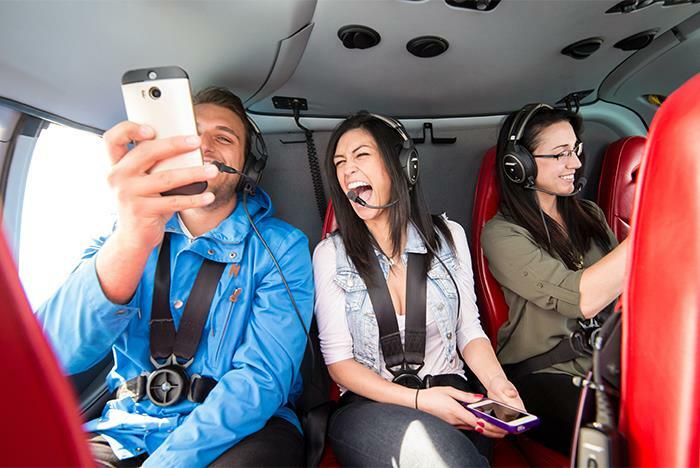 The entire experience is approximately one hour long, with a 15-minute helicopter flight. 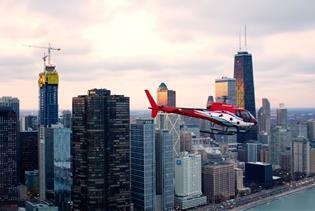 The heliport is in downtown Chicago located at 2420 S. Halsted St, Chicago IL 60608. Absolutely. 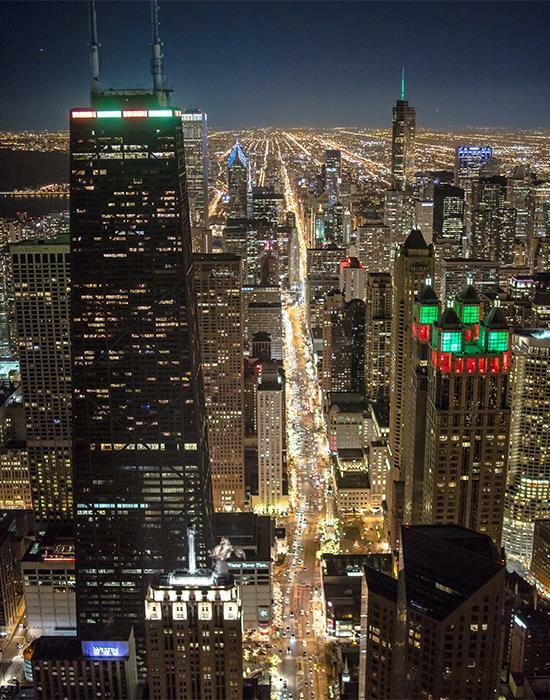 You’re about to capture some of the best views of Chicago! 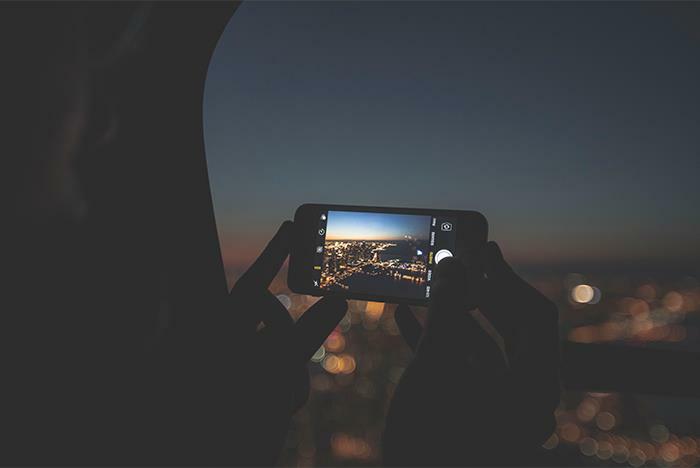 Pictures are able to be taken throughout the flight duration. For safety precautions, pictures are not permitted during loading operations. Will other passengers be flying with me? 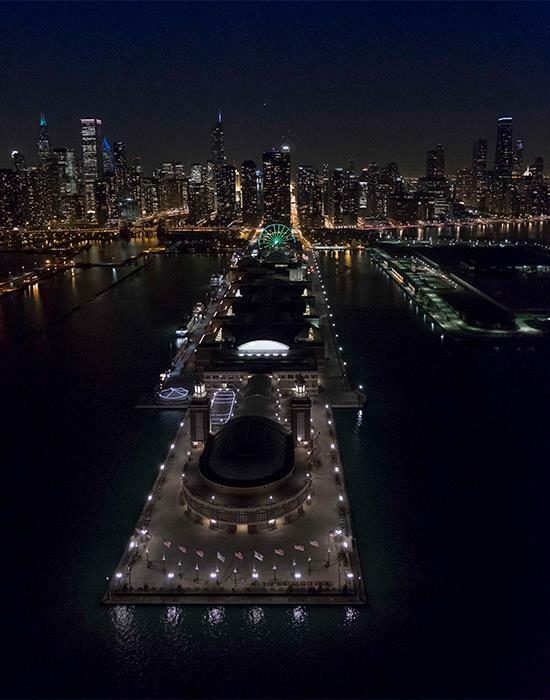 If you have booked a daytime, evening, or twilight tour, you are likely to have other passengers flying with you. 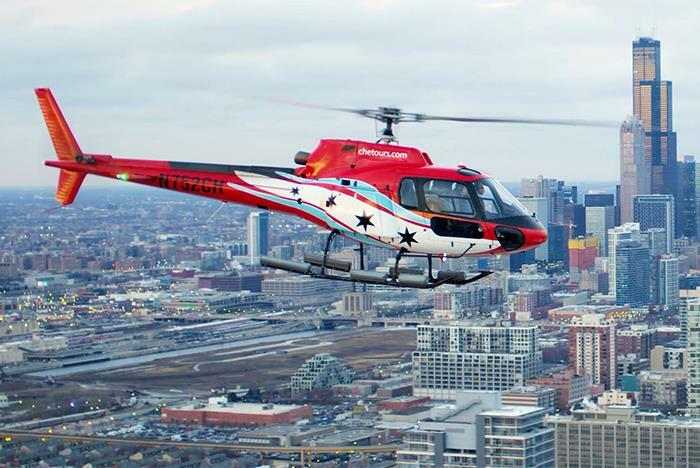 The helicopter can carry up to six (6) passengers at a time. 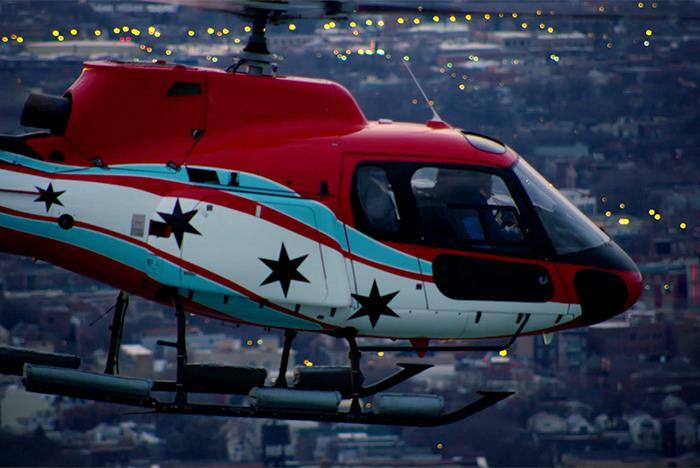 Helicopter tours cannot fly in thunderstorms, snowstorms, or low visibility. In the case of poor weather conditions that prevent us from flying, we will make every effort to contact you as early as possible. All guests are required to take part in a thorough safety briefing prior to boarding and flying. 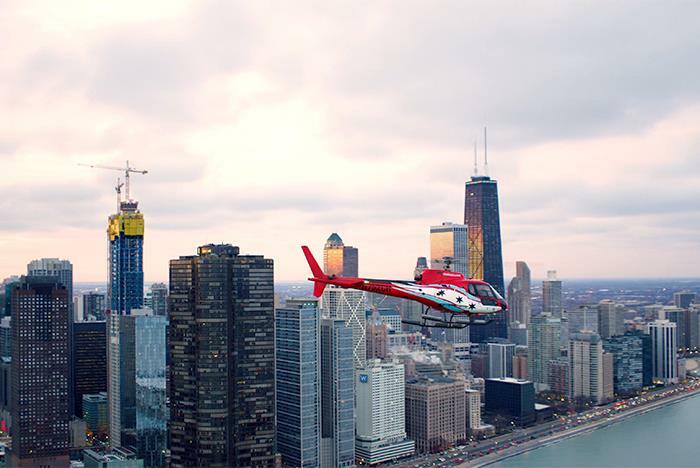 Guests are required to adhere to all rules on the heliport and within the helicopter. 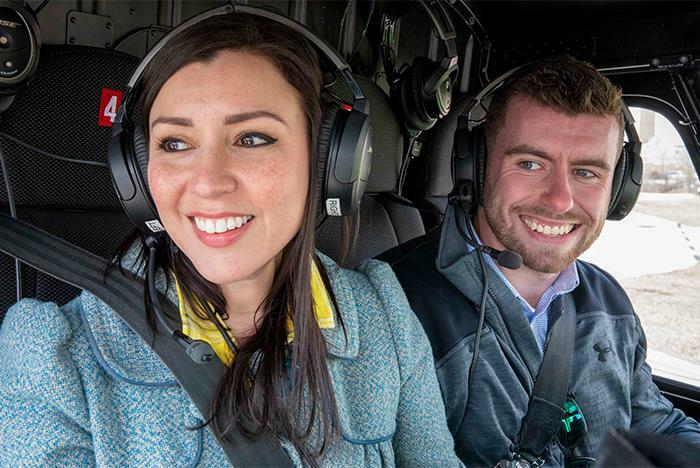 Inside the helicopter, guests are provided with headphones and seat belts, both of which must be worn. Where does the aircraft take off and land? 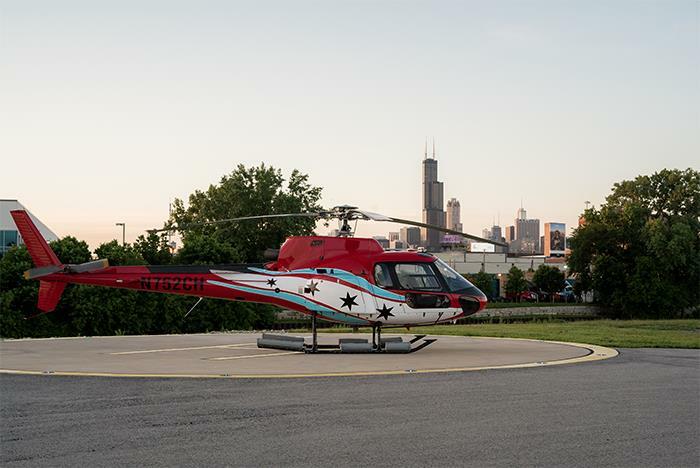 Tours depart and land from the private, downtown heliport just minutes from the “Loop” located at 2420 S Halsted St, Chicago IL 60608. Is there parking onsite at your location? Is it cold/hot on the aircraft? The luxurious helicopters are climate controlled. Will the pilot be speaking to us about the landmarks we pass during the tour? 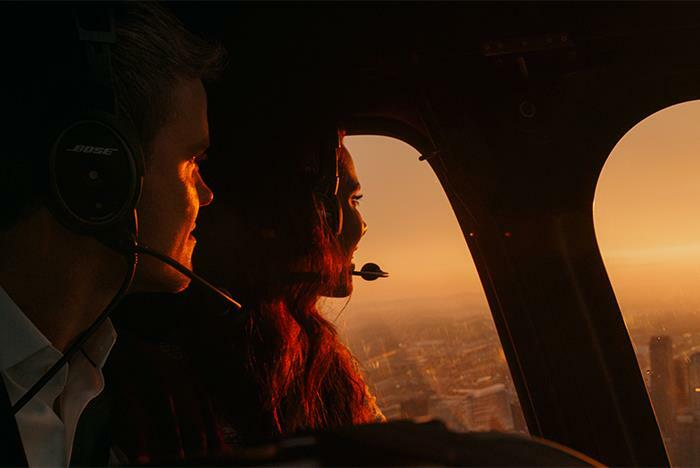 Yes, your pilot will narrate your tour. 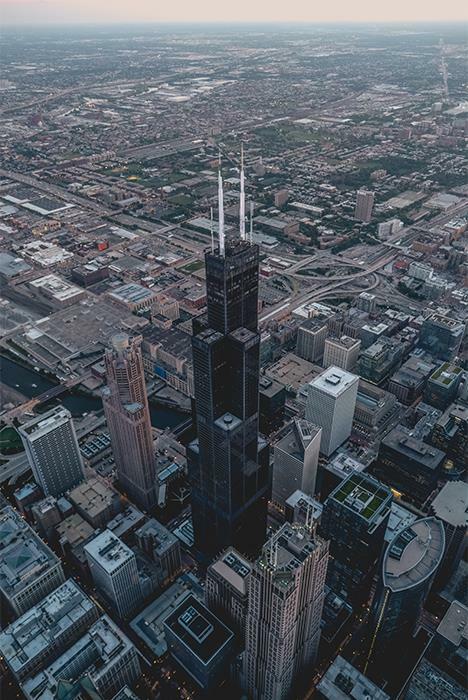 The pilots interact with you throughout the flight providing insight, history, and facts on Chicago’s buildings, landmarks, and historic events. Can I pick my seat in the helicopter? Seats are based on weight and balance, so individual seat selection is not allowed. What can I do while I wait for my flight? 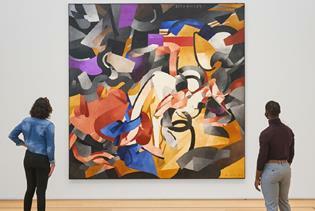 Enjoy a 6000 sq. ft. 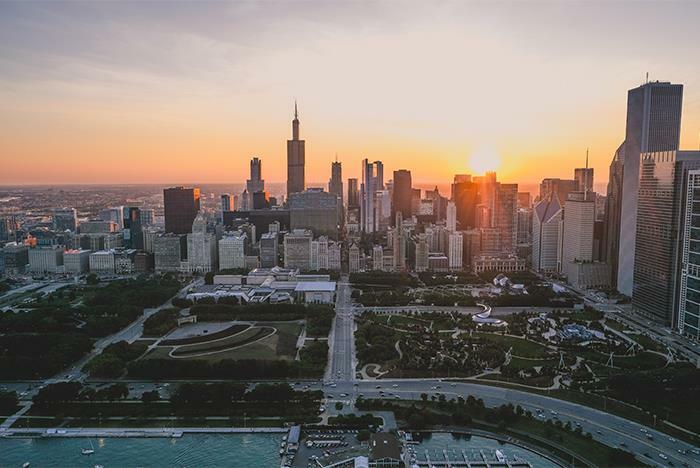 Customer Experience Center filled with fun facts about Chicago, helicopter history, a flight simulator, and other interactive games to add to your experience before your flight.